When I received this wine as a sample, I pulled it out of the box, gave the label a quick glance, and thought, “oh, a Vermentino — I like Italian wines.” After chilling it down for about 20 minutes and pouring it into the glass, I took a sniff, and thought, “ah, that nice mineral and floral character I love from Vermentino.” Then I took a sip and thought, “whoa, there’s something different about this Vermentino. It’s a little richer, sweeter, fatter, and more creamy than I expect from the variety — it must be from an area in Italy further south than where the grape is usually found.” So then I took a more detailed perusal of the labels — front and back. And the light bulb went on. Ideally, wine is made for food â€“ though mass production wineries that make superripe, sickly sweet, fat fruit bombs would like you to think differently. One of my favorite white wines for food is Vermentino â€“ a wine that may as well be unknown among all but the most advanced of wine geeks. Contrary to what you might think, Vermentino is not what an Italian woman screams when she sees a rat run across a Florentine piazza. Rather, Vermentino is a grape that produces white wine â€“ the best of which come from Sardinia (Sardegna). 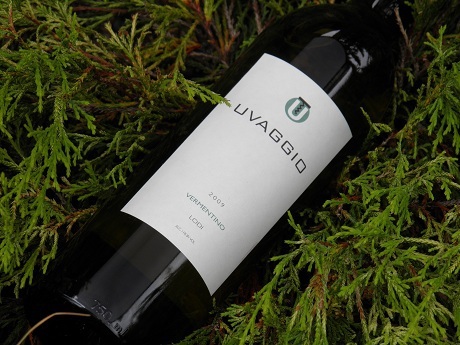 Argiolas Costamolino Vermentino is one of the best examples of the varietal you will find easily in the United States. It is fresh, clean, and ripe, expressing pear, peach, spice (cardamom? vanilla? ), and a touch of grapefruit on both the nose and the palate. It also has hints of lemony citrus, mineral, and herbaceous flavors, and is held up with a good edge of racy acidity. Texture is smooth, almost creamy. Though it appears to be a simple, light and refreshing wine when ice cold, if you let it warm a bit youâ€™ll find it is actually rich and complex. Fairly unique, Iâ€™d say itâ€™s what you would get if you crossed a rich Chablis Premier Cru with a Pouilly Fume. Drink it with almost any appetizers, smoked fish, cured meats, seafood, poultry, pork, or spicy foods. It also cuts right through overly garlicky dishes, such as what you might find in Greek cuisine. A winner in every way, and a good value at around $11.99. Buy as fresh a vintage as possible (2008 is current).